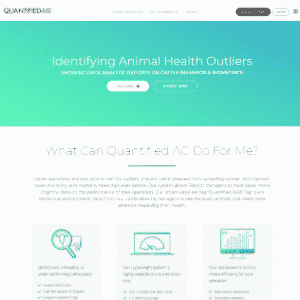 Looking to keep better track of your cows location, health, and if they are in heat? Outfitting a sensor and tracking device to a cow’s collar, ear, leg, tail, or via an ingestible microchip gives farmers the ability to track a cattle’s activity levels, health, and other key behaviors like reproduction activity to increase output and overall herd wellness. 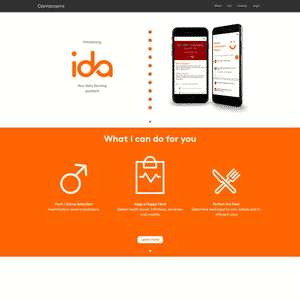 "System was installed and up and running within a weekend was identifying heifers in heat. It spotted heifers that we would not have seen using tail paints or manual methods"
A partial list of the companies offering solutions in the space. 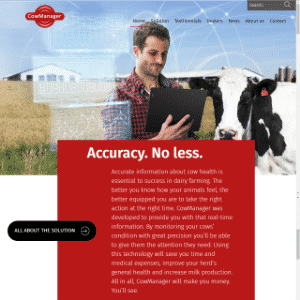 Connecterra produces sensor and algorithms for industry applications.Their first product is Ida, an end-to-end dairy farming service. 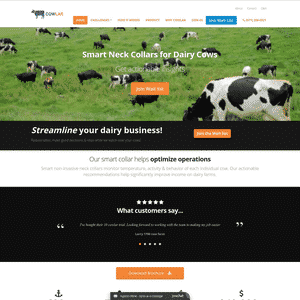 Owned by Agis Automatisering, CowManager is a cattle tracking sensor and software system. 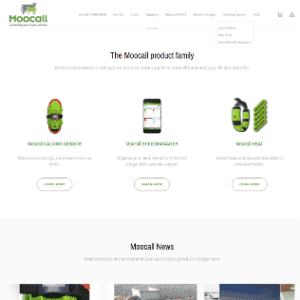 Moocall creates calving and heat sensors for dairy and beef farmers herd management. 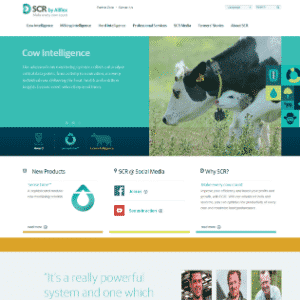 SCR is a manufacturer and marketer of dairy cow monitoring and herd management solutions. 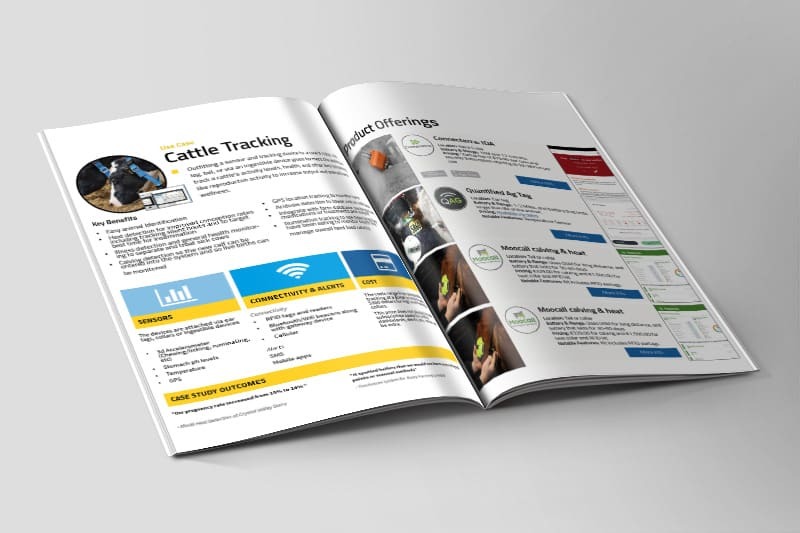 These companies offer cattle health tracking solutions as part of larger smart dairy and beef tracking devices and systems. 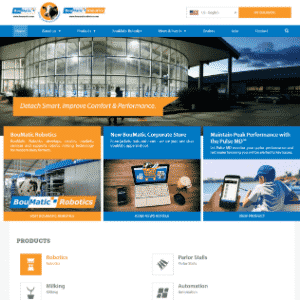 BouMatic designs and manufacture milking systems and dairy farm equipment. 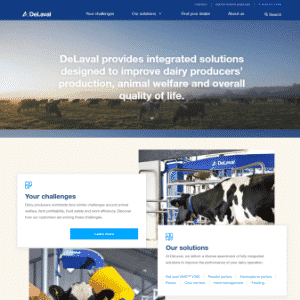 DeLaval develops dairy farmers supply system solutions for milking, herd management, animal traffic control, feeding, cooling, manure handling, ventilation and energy recovery. 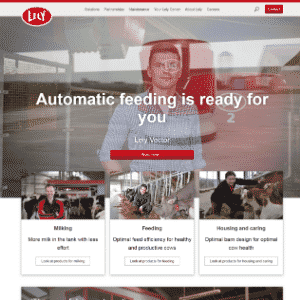 Lely develops automated systems for the dairy industry. 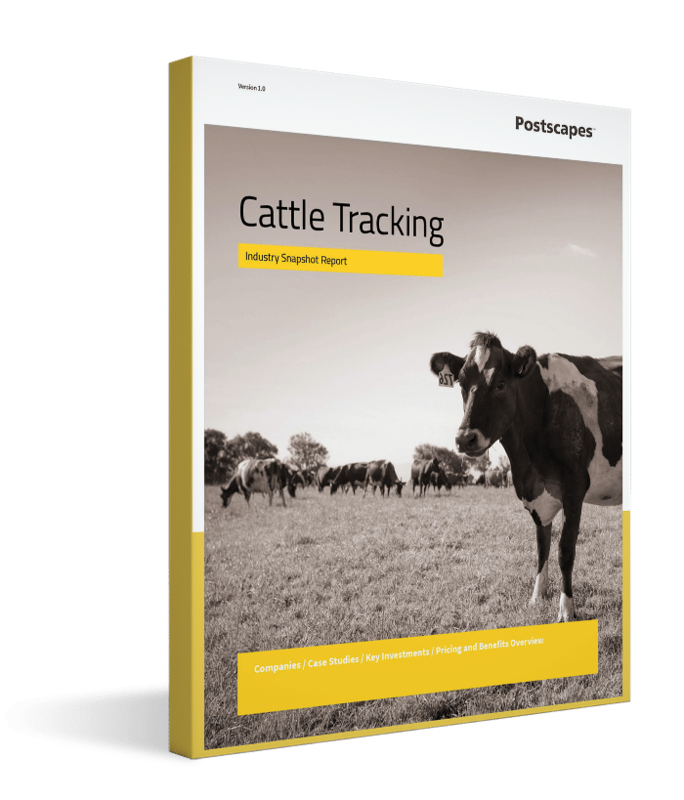 From simple activity monitoring to more advanced ingestible devices use these devices to start tracking your herd. 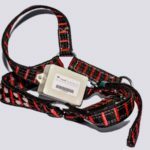 A collar worn tracking device that monitors eating, activity, chew count and then analyses date for patterns and feedback loops with farmers. An ear tag that monitors a cows movements and temperature every hour and sends it back to a dashboard via a gateway. 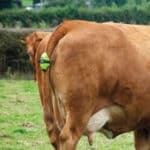 Moocall offers both a device attached to a tail to track for calving events as well as a collar and RFID system for bulls to track mounting behavior, etc. Using wearables and low voltage shocks or uncomfortable sounds with warning stimuli like vibrations let the animals know when they’re approaching an area they shouldn’t be heading towards. This enables farmers to save on material and labor costs as well as opening up rotational grazing opportunities not seen before. 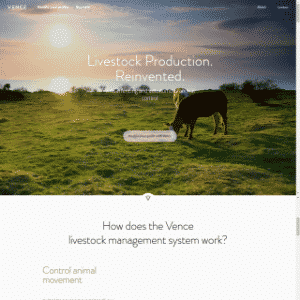 Vence develops a virtual fencing wearable for cattle.